Listening to Trevor Chapman recently he said that a crappy product could outsell a higher quality product if the messaging was right. This hit me big time and has been something I’ve actually always been “aware” of. How I relay messages is extremely critical and I’m always aware of how it may be perceived. If I feel that the message was incorrectly perceived I will quickly address it and resolve the doubt I have in my mind. Every time you speak to anyone and are communicating from another source you have to ensure that you are focused on how that messaging could impact or affect that person. This applies to everything, not just marketing and advertising but also communicating with people in your life. To move forward you need to be conclusively aware of how you are making people feel. Positive or negative. Here’s an example a co-worker recently brought to my attention as we discussed this. Did you know that Oreos were a knock off product, with better messaging? Which is why they won. Hydrox was first to market but lost the “communication” game. Whoever was in control of the “messaging” for advertising the Oreo product during their launch was in control of how their messaging made people feel. Be it budget, impact or creative, they won due to their ability to connect with people. 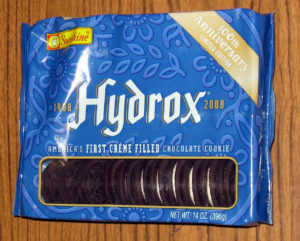 Who knows how Hydrox tasted. Maybe there were better? I’ll never know for sure myself.